I’ve had this post sitting in my drafts for quite some time thinking of the perfect time to post it. There are times when people in my personal life ask, so how can we show our support? I’ll be honest, most of the time I just say, just following along is great. 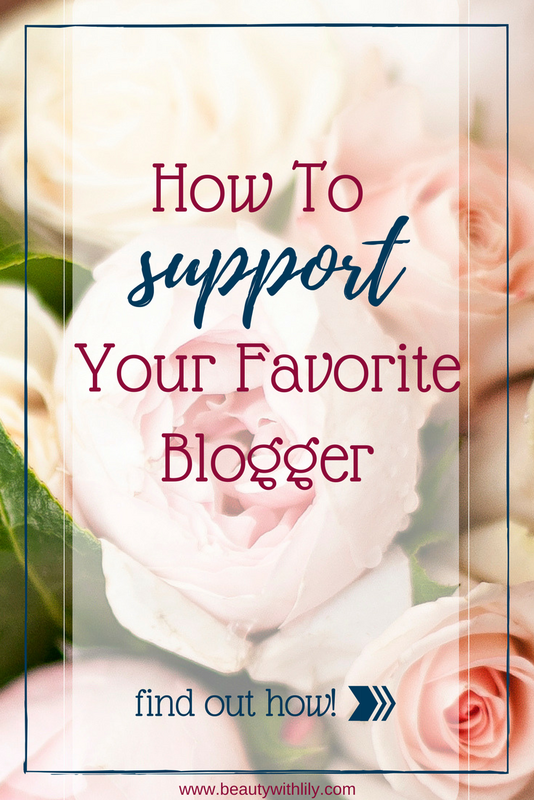 But there is more to just following along every now and then, so I thought this would be the best way to share just how you can support your favorite blogger. Engagement is a big deal, especially on social media — it provides opportunities for us, which in turn can bring new content for you. Along with that, it’s another way for us to share more of ourselves, be real, and share things outside of just our blogs. On another note, social media is a bit weird in the sense that it works off of algorithms now, instead of being in chronological order…so the more engagement we get, the better possibility we have of being noticed by more potential readers. Oh, it also wouldn’t hurt if you gave us a follow…you’re likely less to miss out on new content, exclusives, etc. Share any way you can, on Facebook, pin a post if you love it, email it to a friend, send a tweet, however you can! Not only does this help our content get out there to a broader audience, but it also let’s us know that you really enjoyed that and we can create content more like it. Along with all of that, we also really appreciate when you take the time to share our work — it takes a lot of time to put good quality content up, so seeing that it’s being shared and loved, means so much. You have no idea how happy it makes us to see that you are using our affiliate links. They don’t bring in a lot of cash, but that money helps us keep our sites running. There are fees that go along with running a blog, along with buying new products, etc. Besides, this costs you nothing, absolutely nothing. You don’t get any hidden chargers, the prices aren’t higher, I promise…nothing extra comes out of your purchases. I always keep it real with y’all, I have a disclosure at the very top of every post. Every tweet, every Facebook post, Instagram share states whether or not I have linked an affiliate link. 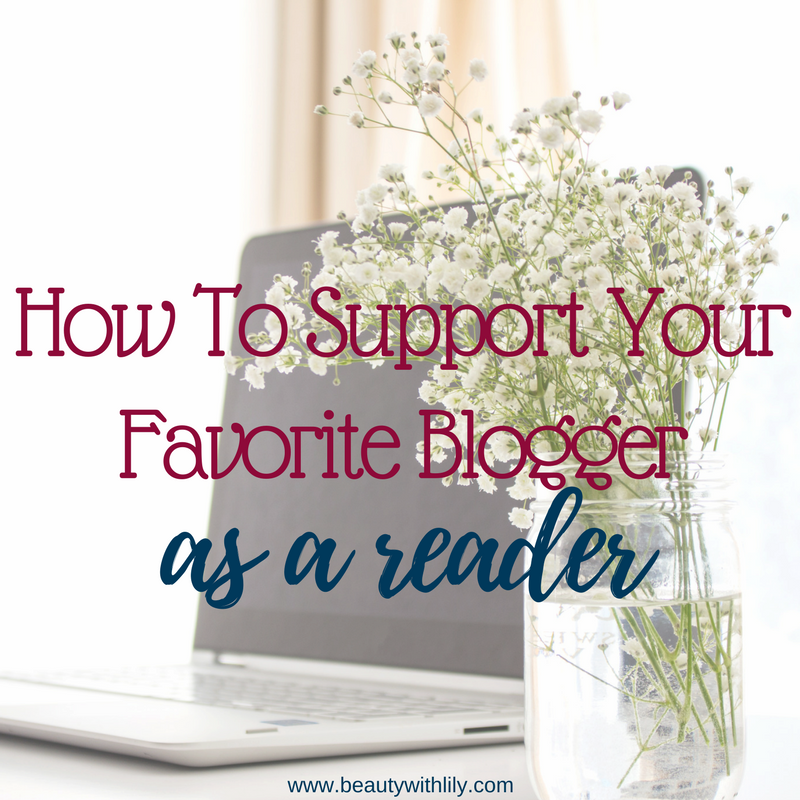 Some bloggers don’t do that, in order to get more clicks/purchases, but that’s illegal. If you ever have any questions about how this works, feel free to shoot me an email, I’d be happy to explain it in more detail. After all, you are our biggest cheerleaders! We wouldn’t be where we are today if it weren’t for you. Believe in us and support our endeavors — if your favorite blogger sells t-shirts, buy some, if they offer services, let your friends know. Cheer us on! I hope you found this helpful and please, don’t feel like I’m pressuring you in anyway. I’ve just had a few questions about this topic brought up in my personal life and thought this was the best way to share it. Found this helpful? Then pin it on Pinterest! "Beauty Mix | Warm Toned Makeup"
"Behind The Girl | How Well Do You Know Me"